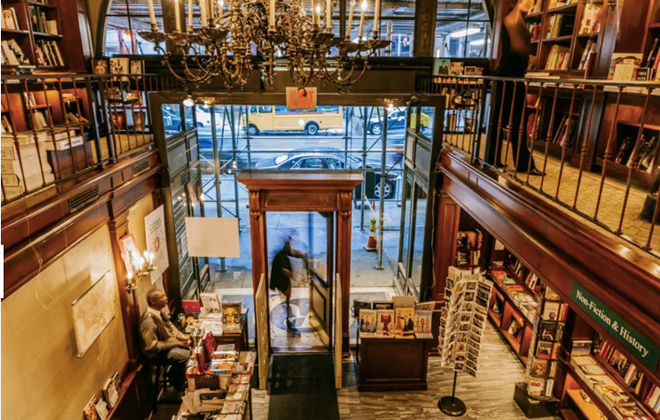 I know as a New Yorker that I am not alone in my great sadness over the closing of one of the most beloved bookstores in Manhattan: Rizzoli. 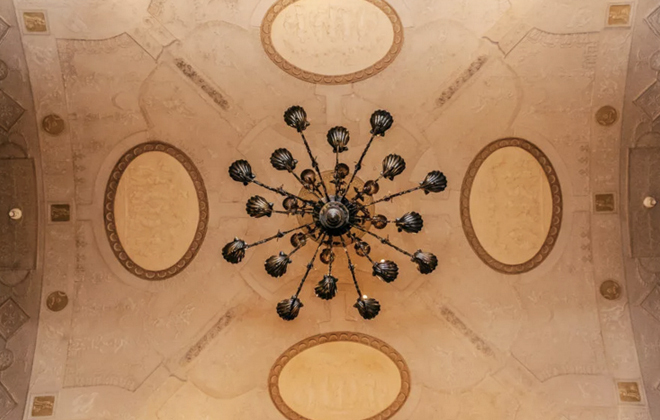 The iconic vaulted ceiling palace that served as the publisher’s US flagship store for over 50 years was one of my absolute favorite spots in the city. 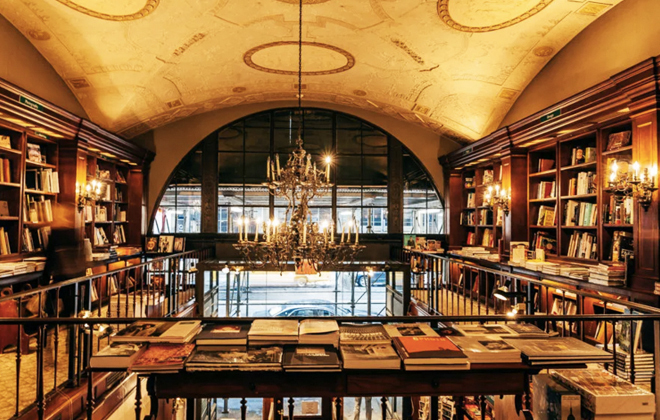 Whenever I could, I would pop into the 57th street location and get lost in their collection of astonishingly beautiful books in what was an equally beautiful space. It hits a bit of a sore spot that not only was this fabulous bookstore closed, but after failed attempts to have the building landmark protected, it too was destroyed to make way for yet another mid-town highrise. Ah, such is the story of New York of late but it truly hurt my heart when this happened. I cannot walk along 57th Street these days without feeling wistful every time I pass the old “spot”. Cover photo: Scott Frances for WSJ. 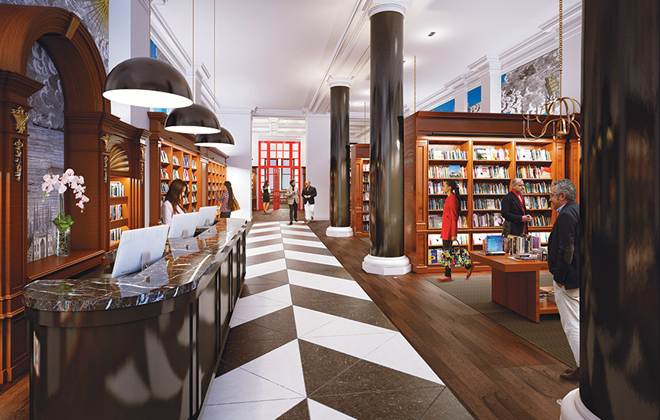 The new Rizzoli space is pretty good, isn’t it? Thankfully, Rizzoli did not stay shuttered for long, and has since opened up their new location on Broadway in the recently dubbed NYC neighborhood NoMad. They definitely made an effort to retain some of the charm of its former home. In fact, fact they were very transparent about their resolve to reopen in a new space and carry on with their vision. The books are arranged in dark, highly polished hardwood bookcases which were brought downtown from the old store. 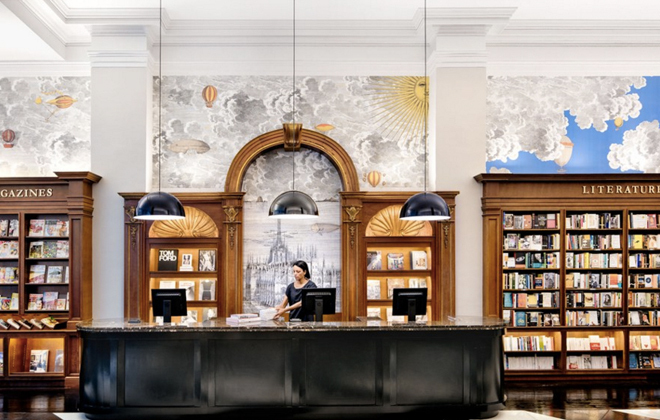 You might notice the stunning wallpaper above these fabulous bookcases in the cover photo? It is one of my favourites designed by Italian artist and designer Piero Fornasetti. If you want to read more about Fornasetti, you can read one of my previous articles on that here. The now demolished space on 57th Street. This photo by Driely S. for Racked. The ceilings were amazing in the old space. This photo by Driely S. for Racked. The new storefront which is spacious and open, does maintain a nod in its design to its illustrious predecessor, but nothing can compare to the old space which was truly a New York legacy on West 57th St. That said, it’s still a wonderful spot to go when you are in need of a little escape from the city. I am grateful that The titles are the same, and ever growing, and I can’t seem to leave without a huge stack on my wishlist. So at least there’s that.